"By reading we read" and this is true. We also learn to write by writing - the more practice children get, the better they become. 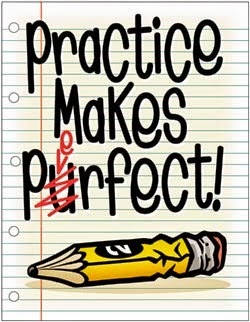 There is the a classic saying 'Practice makes a man perfect! With persistence, one can get the hardest rock with the softest rope and with practice the heaviest brain likewise becomes super ...only if you read will you become good at whatever you want to learn, and in todays world where the attention spans are being reduced to split seconds, the ability to read and comprehend tends to get lost. Having had the honour and privilege of running one of India's premiere bookstores, there is not a day when I have not had a parent or an individual requesting for help to guide them to enable their child to start reading books. Reading is the heart of education, the knowledge of almost every subject in school flows from reading. One must be able to read the word problem in math in order to understand it. If you cannot read the science or social studies chapter, you cannot answer the questions at the end of the chapter. The complicated computer manual is essential to its operation, but it mud be read. Reading is arguably the single most important social factor in any society. Pat Kozyra further goes on to say 'the more you read, the more you know; the more you know the smarter you grow; the smarter you are, the longer you stay in school; the longer you stay in school, the more qualified you become and this will then lead to a better earning and a better life'. All however begins and ends with reading alone. At The Fabindia School we have the DEAR (Drop Everything And Read) activity, this is carried out in all the classes under the guidance of the Principal herself and works to enhance the reading ability of the students. In today's world of technology, enjoying reading is losing its charm for the students. They have lost the patience to relax and read and empower their minds with knowledge. Keeping this in mind the school started a new programme called DEAR (Drop Everything And Read). This takes place every Monday, right after Assembly for 20 minutes where teachers and students are expected to sit and read either their favourite book or story or even read the newspaper, it is compulsory for all to read. Ms Deepika Tandon, the Principal of The Fabindia School states "students looked hesitant initially on the first Monday but after two Mondays, this is was seen as a tool to help improve school's campus language! From compulsion to necessity if often a way to find a solution, and this precisely we need to do to encourage reading. DEAR is a way to increase vocabulary; improve pronunciations; be able to read better and increase one's comprehension". Become a good reading role model for your child. Let your child see you reading something everyday. The child is like an 'ape' and we have to be cautious of what we practice and not simply keep preaching. Some families set aside a family reading time each day when the TV and cell phones are off and everyone is reading something, no matter the age. Make a variety of reading materials available at home. It is never to early to get your child interested in the newspaper. Subscribe to a family magazine or several children's magazines. Start a family library and add 10 books for each member each year. Better still when you go shopping, you may have the option to drop off your child at the nearby bookstore / library and simply browse. Be encouraging and praise the child's effort effort to read, do not keep pointing at errors. 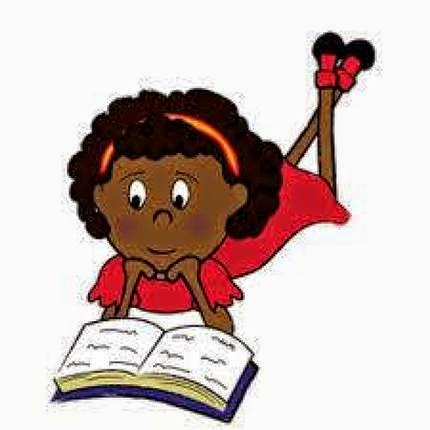 Read to your child every day - some experts say "do not stop reading to your child until he or she is in university"! Whenever you look around, where ever you will see the written word - signboard, directions, name plates... keep observing an absorbing. The list of suggestions and things-to-do is never ending, you simply have to make it a habit and enjoy it. All children and adolescents must have access to quality books no matter their race, economic status, or capabilities. Reading inspires confidence, bridges the differences between people, and forms a fundamental stepping stone to better communication skills. We believe it is the single most important skill a child can develop to become a productive member of society. Books open children's minds to a world of possibility, while stimulating their intellect, imagination, and intelligence, especially during their formative years. Story telling, is one of the best methods to encourage reading. Tales and folklore have been the most interesting way for us to communicate with generations, most of our stories today are available in the printed book form. Our movies are based on books, and what a picture conveys is powerful too. At school or at home it is most wonderful to have a teacher, parent or a peer enthral us with stories and insight. This will then encourage the young people to read too, as they too should be made to do some story telling as an activity. "Writing is a solitary act. But when I connect with a child through my stories, they are forever next to me, greeting each new alien, traveling to every star and plotting with me to save the universe". Read to lead, supplement the reading habit with regular library visits and maybe even research projects. Another step ahead could be that the students are asked to prepare or read-up some material before attending a scheduled class, they may then me asked to explain the lesson and even supplement the teachers effort to deliver the learning in the classroom. When we give the leadership to the students we will have them become better learners and they will read too. We need to set up a book club or a library society that is run by the students and let them manage the school library as well as help their peers find what is interesting to read. This will ensure the library is well stocked with books the young people want to read and will have them visit the library too. This may need some guidance or supervision of adults or an experienced teacher or an individual who is well read and well informed too. The school may even have the students visit the nearest bookstore, accompanied with the school staff, when library books are purchased. Please do not stock the library with leftover books or material that is donated and irrelevant for the needs of the students. As we sum up, my only simple brief is whatever you do, make it easy for young people to access books and work to make books their best friends. Books for me are living life partners, and sharing a book is possibly the best way to make good friends too.